A significant development in the protection and preservation of the honeybee for future generations. As you are probably aware, the world’s bee population is under threat. Around the globe, colonies are declining drastically and that’s bad news for more than honey fans. Bees are directly responsible for a third of all the food we eat. Without their pollination, things will get very serious. But we want to ensure that never happens, but we need your help. So who are we? Andy Cory you may have already met in the video above. He has been a beekeeper for over 35 years and is a specialist in queen bee breeding. He owns and directly oversees 3,000 hives in New Zealand and 1,000 hives in Niue. He is widely considered one of the Pacific’s leading apiculturists. When Andy first took on these bees located on the Pacific island of Niue 15 years ago, he never dreamt that the world’s stock of honey bees would subsequently get into such peril. He also never thought that he would be left with the healthiest last known significant and sufficiently isolated stock of Italian honey bees (Apis mellifera ligustica) in the region, and likely the world. They were brought to Niue many years ago, well before the major honey bee diseases, parasites and chemicals afflicting today’s bees could affect them. They’ve since been effectively isolated in a tropical paradise for bees. Thankfully, he persevered through the many trials associated with Pacific beekeeping, even surviving a huge cyclone in 2004, and kept the bees alive! It was also a bonus that Andy had the only bees on Niue and that they were purely of Italian stock, so there were no issues of cross breeding with other undesirable strains of honey bee. Additionally, Niue’s relative isolation, limited ports and tourism and ideal size (not too big and not to small – the ‘Goldilocks’ factor) had made it the ideal location for a “natural and near quarantine”. Consequently, Andy already had an informal bee sanctuary. Nevertheless, as the rest of the world’s honey bees have become increasingly threatened by a host of causes, sometimes summed up in the term “colony collapse disorder” (CCD), Andy decided the time had come to convert the Niue operation into a formal and internationally recognised Global Bee Sanctuary. Discussions with the Government of Niue and other potential partners started accordingly. As other remedies are explored for solving the international bee crisis, a bee sanctuary on Niue is critical to ensure there will always be healthy and protected stock from which to draw from in the future – in effect, insurance against the continuing decline of the honey bee and the resulting impact on global food security. But creating and funding a Bee Sanctuary, with the aim of eventually being able to potentially export clean, healthy and gentle bee stock to other countries was going to take some time. We put our heads together and came up with the plan to create a “Save the Bee” retail honey brand to self-fund this important initiative. However, getting sufficient sales was going to take some time and the honey bees were coming under increasing threat (with an hugely alarming 42% mortality rate in the US over the last year!). So, we needed to fast-track the initiative, and that’s where you come in . . . This campaign is an opportunity to play a unique and pivotal role in the creation of a Global Bee Sanctuary through an innovative ‘social business’ model, thereby promoting regional agricultural productivity, environment and biodiversity protection, and ultimately safeguarding global food security.
. facilitate the timely development of a Global Bee Sanctuary on Niue with the aim of safeguarding the genetic stock of the Italian bee.
. help fast-track the development of the existing apiculture operation from a regional wholesale honey sales organisation to a self-funded globally branded “save the bee” retail bee product sales organisation.
. pursue opportunities to spread Niue’s honeybee stock. Initially, into other suitable Pacific Island nations as livelihood projects with other NGO and regional agency partners, and then into Northern Hemisphere countries in order to augment pollination services. The purpose of this crowdfunding campaign is to raise funds to fast-track the transition of the current commercial wholesale venture into a self-funding retail-based social venture. In doing so, the foundation will be laid for generating future revenue sufficient to create and sustain a Global Bee Sanctuary. $15,000 – Biosecurity enhancements (training and communications: the Government of Niue already does a great job of banning all honey and bee stock imports). $25,000 – Retail ‘Save The Bee’ honey bottles (we have had some initial design funding from Pacific Island Trade and Invest, hence the great bottle design you see in this campaign. Nevertheless, for the first run of retail sales, we still need to source, test and buy the bottles, pack and distribute – all using organic certified processes). $25,000 – New hives (to start the replacement of all the old hives on the island, eventually building to a maximum sustainable number of 4,000). $30,000 – Honey factory upgrade (the old honey factory needs new floors and ceilings, plus the upgrade of the 1960s vintage honey and wax processing equipment). $25,000 – Truck (ever tried to keep a truck going in the Pacific?! We need a new and reliable truck to make sure we can keep pace with the productivity requirements as the venture grows). $20,000 – R&D into Niue honey bioactive properties (there is anecdotal evidence that Niue honey might have valuable and unique bioactive components). 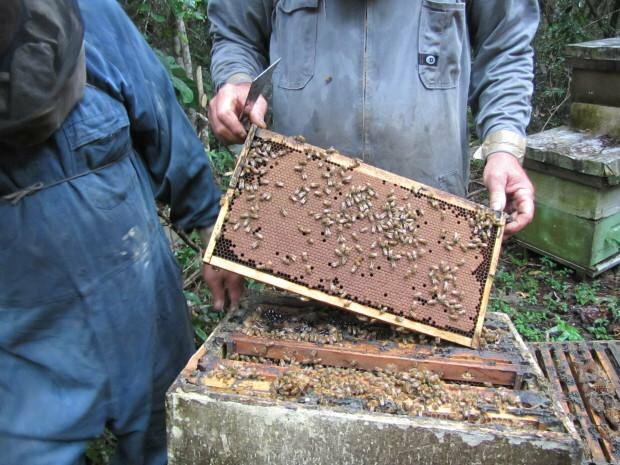 $20,000 – Disease Audit (the bees on Niue are inspected by an external agency every few years, but we need to bring the frequency up to an annual inspection in order to retain export clearance to New Zealand and from there to the rest of the world). If our funding goal is not reached, we would concentrate the funds that were raised on the first two categories above (biosecurity and bottles), and continue to press on with the project! We won’t stop now, the stakes are too high! In the case of raising more funds than the campaign target, we would be able to stretch straight into the subsequent regional and global phases of the project, instead of having to wait until the honey sales created the necessary funds. FYI – certification for live bee exports alone could run close to a 7 figure sum! For those wanting impact on the ground, become a sponsor of one of our new hives. We will name it after you, put a plaque on it, take a photo and send to you with a certificate of thanks. We can even show you where it is on the Island, and in the future you can order honey from your own sponsored hive (just give us enough prior notification). 0% of our goal of $160,000!